Brushing Up on the Old, Beginning the New, a photo by Nanny With A Camera on Flickr. … because Jaibee is learning a new language this semester! That’s right! 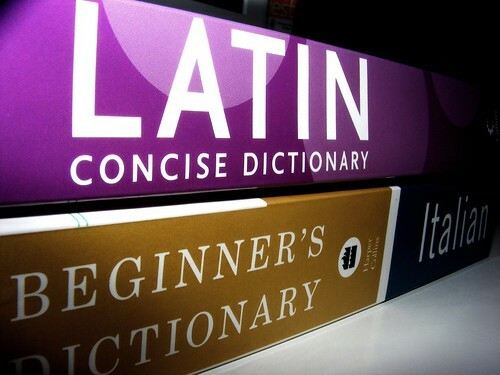 This fall, I will be tackling … Latin! Then, finally, I will be able to read things like: In his quae de necessitate fidei non sunt, licuit sanctis diversimode opinari, sicut et nobis.